Often  getting away  from home and work is the ideal time to draw near to God. APCE’s Spirituality Center is open each day for self-guided and group spiritual practices designed to center your soul, open your heart, and experience the living God. Rita Odom and Fran Shelton will facilitate the group experiences and be available for questions and/or listening with you for God’s holy gifts of grace, love, and acceptance. A schedule of each day’s opportunities will be posted on the door. Come visit and receive a token of friendship. Fran Shelton is a spiritual director, founder of non-profit Faith & Grief Ministries, and a PC (USA) pastor. She enjoys leading retreats, reading, and hanging out with family and friends. She lives in Dallas, TX. Rita Odom is an elder and a Certified Associate Educator. She has written curriculum for the Presbyterian Church (U.S.A.) and for Grace Presbytery and Mo Ranch summer camps. She is retired and lives on the river in Hunt, TX. The labyrinth is a wonderful way to become centered, to deepen awareness, to get back in touch with your heart (especially when you’ve been filling your head!). Give yourself the gift of a little time for this ancient spiritual practice sometime during the conference. The labyrinth will be located in Exhibit Hall A – next to the Market Place. This mixed-levels yoga class serves a range of students who are guided through a flowing sequence of poses for the integration of spirit, mind, and body. Students are gently reminded to remain mindful of each breath and movement and given guidance on how to make adjustments for their current needs and progress toward more advanced poses and breathing techniques as they are ready. Your health and happiness in the practice are top priority! Michel Le Gribble-Dates is the creator of the Fruitful Living Course, Story & Stretch: Narrative Yoga for Kids and Liturgical Yoga. She is an author, certified yoga instructor, health coach, labyrinth facilitator and mindfulness educator. The conference choir is offered as a joint workshop between APCE and PAM. Registrants are invited to share in music making and participate in Saturday’s closing worship. Join clinician Joshua Taylor, Director of Worship and Music at First Presbyterian Church of Dallas for this opportunity to share in song together. The choir will be premiering a hymn commissioned for this Annual Event. Hymn Festival – Come to the Waters! Come and sing along on a variety of hymns highlighting the APCE Theme of Come to the Waters led by the Chancel Choirs of Moody Memorial UMC of Galveston and First Presbyterian Church of Dallas, TX. Scripture, poems, hymns, and anthems will be presented with congregational participation. Join us for a glorious evening of music! Enjoy the “true” Story of Cinderella sung by 12 solo voices in formal attire, along with a narrator, pianist, and bell! You will not want to miss this enjoyable musical comedy by Warren Martin. Martin, a Westminster Choir College graduate and longtime faculty member, wrote “Cinderella” for the annual May Day Celebration. It was never intended to be staged. Martin insisted that the work be sung “oratorio style”, that is, with the singers in a row across the front of the stage, facing forward, not playing to or looking at each other. The classic story is explained in a beautiful tapestry of music which is fun for all. Laughter guaranteed! 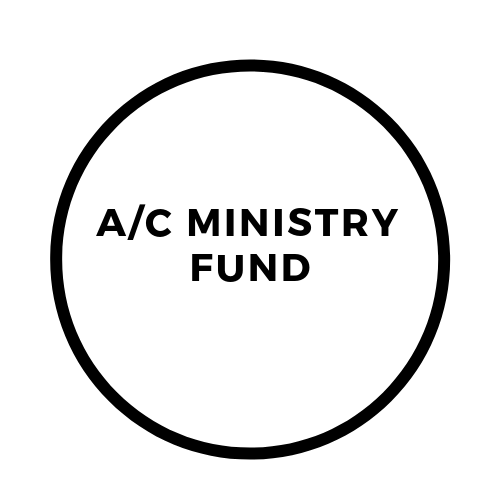 and/or 5:30 p.m. – 6:30 p.m.
A simple meal of vegetable soup (vegetarian and gluten-free) and crackers, a whole-wheat dinner roll, and a serving of the Kids Against Hunger meal (vegan and gluten-free) will be offered for $12.00. 25% of each meal sold will go to Galveston Urban Ministries, our 2019 Annual Event designated offering recipient. Registration required. Galveston Urban Ministry (GUM) has been selected as the 2019 APCE AE designated Local Mission Project. GUM offers after-school programs for kids, mentoring programs for youth, and adult job training. From their website: Our mission here at Galveston Urban Ministries is to develop holistic relationships to transform the community we love. Whether we’re teaching kids how to read, helping our adult neighbors prepare to enter the work force, or educating work groups from all over Texas on how to alleviate poverty, our goal is to see the North Broadway community thrive! We want each of our neighbors to have healthy families, good paying jobs, and above all else know the abundant love of Jesus! You’re ​invited ​to ​enjoy ​food ​and ​fellowship ​with ​your ​PSCE, ​Union-PSCE, ​and ​Union ​alumni ​friends ​and ​colleagues ​in ​Galveston, ​Texas! ​Updates ​on ​the ​Christian ​Education ​program, ​as ​well ​as ​resources ​for ​alumni ​will ​be ​shared ​by ​Union ​faculty ​and ​staff. ​We ​look ​forward ​to ​seeing ​you ​in ​February! This past May, Todd was on his way to work when he happened to drive by Sante Fe High School after the school shooting that left eight students and two teachers dead and several others wounded. A police officer, after hearing Todd was a hospice chaplain, asked Todd if he would provide pastoral care to those affected. Come hear this engaging and insightful account of Todd’s experience with ministering to a community in the midst of tragedy. 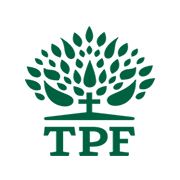 Columbia Theological Seminary will be holding our Annual APCE Luncheon on Friday, February 8th, from 12:00pm – 1:30pm, at the Hilton Hotel, in the Tower, Meeting Room A. Whether you are an alum, prospective student, or friend of the seminary, please join us for delicious food and warm fellowship! If you are able, a donation toward the luncheon is greatly appreciated (cash or check made payable to ‘CTS’ will be collected the day of the lunch). 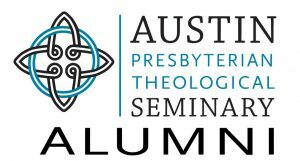 Austin Seminary Alumni and Friends! Friday, February 8, 2019 11:30 a.m. – 1:30 p.m. Please join us for lunch during APCE to connect with Alumni and learn about the most current news! Please RSVP to Selina Aguirre at [email protected].